If he wasn’t a veteran cop they would have gotten away with it. This is America today, where cops are violent thugs above the law. This is exactly what fascism looks like. Obama stalled long enough to leave the dirty work to Trump Inc. They found the result “startling”; 59 percent of respondents backed “using a nuclear bomb on an Iranian city“. Iran has done nothing to us, but was attacked by our CIA and its democracy strangled in 1953 for the crime of being independent and controlling its own oil. Now Americans want to wage mass death on Iran for no reason whatsoever. For propaganda. For lies. For the delusion that they are untouchable and that bombs can only fly in one direction. Perhaps the elites have more sense than Joe Six Pack. Police state out of control. But neighbors who witnessed this incident say it was “just blown out of proportion,” by the police, according to a neighbor who spoke with local WSB-TV. We are in an ongoing reign of terror by unaccountable police, across the land, who attack citizens routinely in a crime spree of historical note. Over the past few years I’ve seen hundreds of police assaults on citizens that should warrant prison terms. 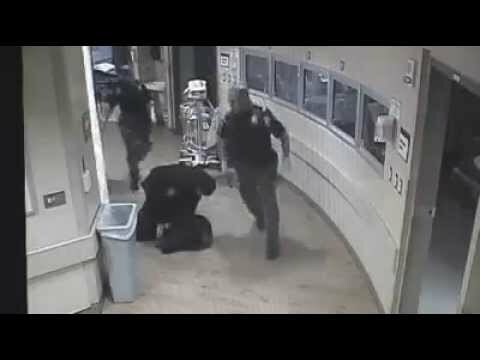 slamming a handcuffed 18-year-old woman face-down into the ground, knocking out her teeth while she was in hospital.